A £50.00 refundable deposit is required within seven days of booking to secure your booking with the balance due six weeks before the holiday start date. A further £50.00 security deposit cheque is required at the same time as final payment against any damage, breakage or loss of keys. This will be returned to you after your holiday if no problems have occurred. * PLEASE NOTE SHORT BREAKS ARE AVAILABLE (please email me for prices). 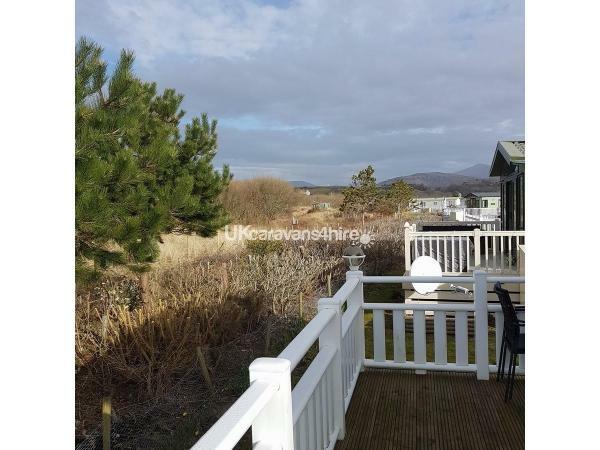 Situated on Greenacres Holiday Park in a quiet cul-de-sac in one of the best areas on the site (Glaslyn), the caravan backs onto the nature reserve (not overlooked) with superb views of the nature reserve, the famous Criccieth castle and the beautiful surrounding mountains. The great Black Rock Sands beach is just a 1 minute walk. 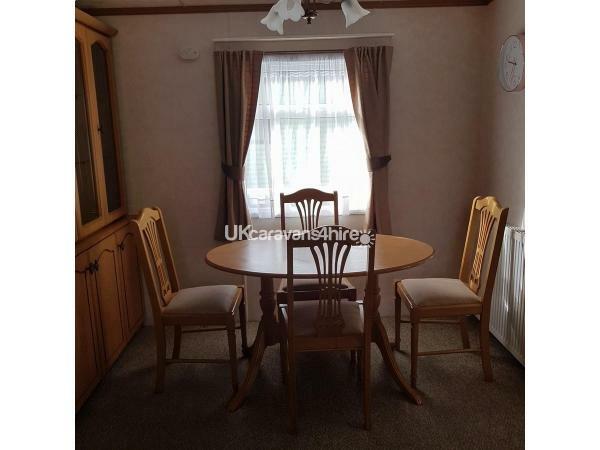 This spacious 2 bedroom caravan is centrally heated and double glazed throughout, the main bedroom has a full sized double bed with an en-suite shower room, television and plenty of wardrobe space. 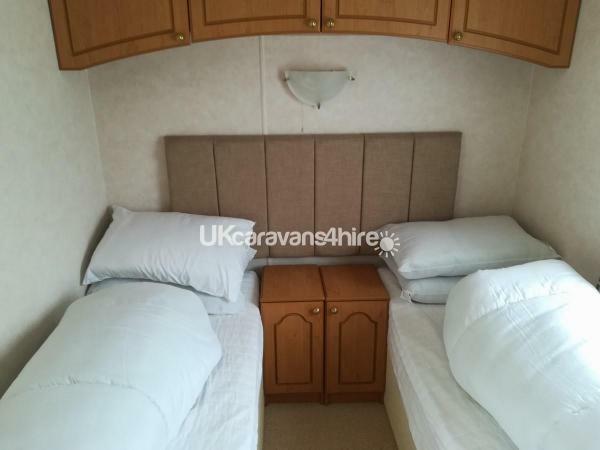 The twin bedroom has 2 single beds which can be easily be pushed together to make a double and again plenty of storage space. Duvets and pillows are provided but own linen is required. 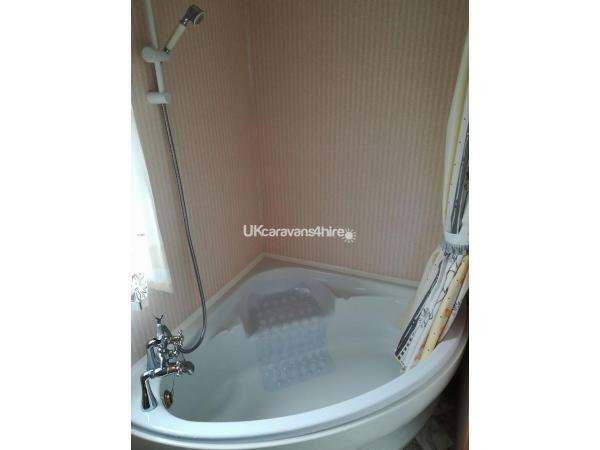 There is also an additional family bathroom with shower and bath. The caravan has it's own parking bay next to the caravan. *Please note there is a also a double air bed available for an extra 2 guests. The lounge has French doors opening out on to the furnished patio. There is a 32" television with DVD player. 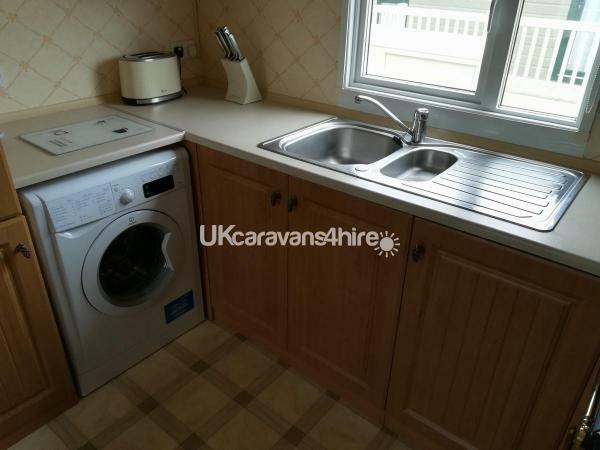 The kitchen is fully fitted with gas cooker, fridge-freezer, washing machine, microwave, pots & pans, toaster, kettle, crockery & cutlery, an iron & ironing board. High chair, travel cot and child bed guard is also available for guests to use. * Small dogs would be considered. Passes for the complex are not included and can be purchased from Reception if required. The complex houses the Live Lounge which is a large family entertainment room with a kids club, the Mash and Barrel for a meal or just a drink, and an indoor pool and games arcade. Outside is the Splash Zone, play area, football pitch and Crazy Golf. Passes are not required for access to the grocery shop, chip shop or launderette. Greencares is the ideal site for family holidays with plenty of entertainment and activities for both children and adults if required. It is also a haven for walkers, fishing, golf and enjoying all the local amenities to include the famous and beautiful Snowdonia National Park. * Please email me for availability and prices. 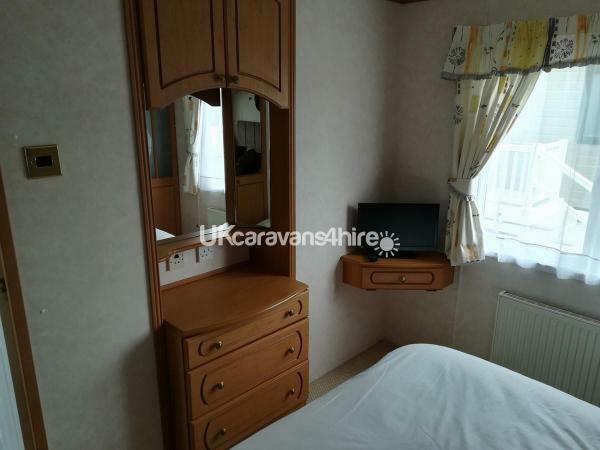 Excellently maintained caravan with all you could need to make your stay comfortable and enjoyable. The van is clean and tidy inside and out with tasteful furnishings and comfortable sofas in the living room and well kitted-out kitchen and dining areas. The decking, which is equipped with a table and 6 chairs plus parasol, is well-maintained and has a lovely view across to the dunes of Black Rock Sands, which are only a few minutes walk away. The van is situated in one of the better areas on the site with easy access to the central complex, main route through the site and the beach. The light pollution is pretty low in this part of the site so on clear nights you get an amazing view of the stars, too. I found the owner to be very easy to deal with and considerate. All in all, one of the best caravans we've stayed in and we look forward to returning to it next year. Fantastic accommodation. 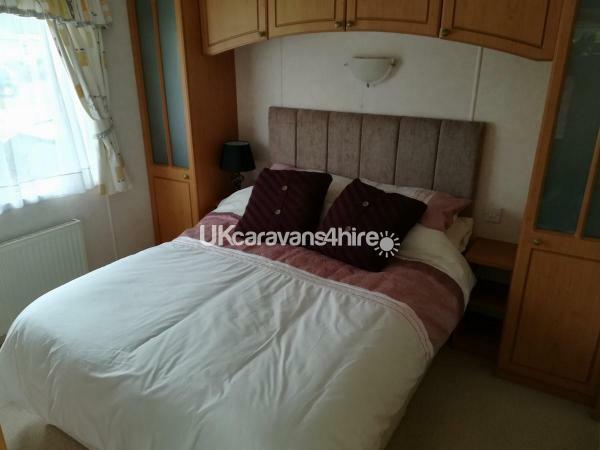 The caravan is large, and beautifully presented - leather sofas, nice patio furniture, en suite, tv in bedroom, a washing machine and bath! In a quiet area towards the back of the sight, lovely views of the amazing sunset. Location ideal for exploring beautiful Snowdonia, and a great beach on the doorstep. Suzanne is a very helpful host. Thoroughly recommend. 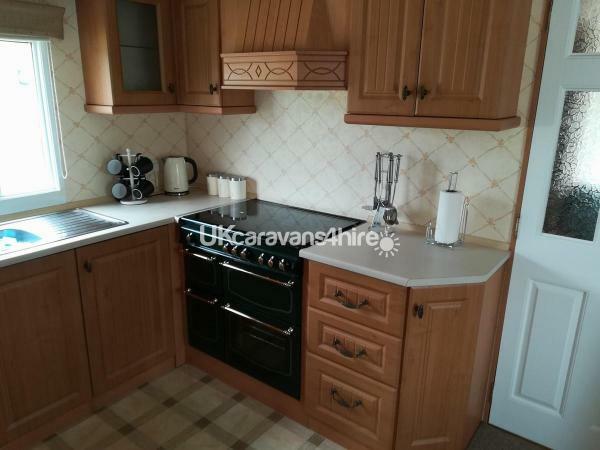 What a beautiful caravan on a quiet, well maintained plot. We stayed with our two young children and could not have been happier with the space and facilities provided. Having a proper bath and even a washing machine was a real bonus! The caravan was spotless and had great views of the sand dunes. A real home away from home. We will be returning! What a fantastic caravan. I own a cleaning company so I’m quite a stickler for cleanliness and this caravan was spotless. Facilities are amazing, everything you need to cook if you wish, even a slow cooker! Suzanne was great when I texted asking about local places to eat too and was really easy to communicate with for booking. Will definitely be back! 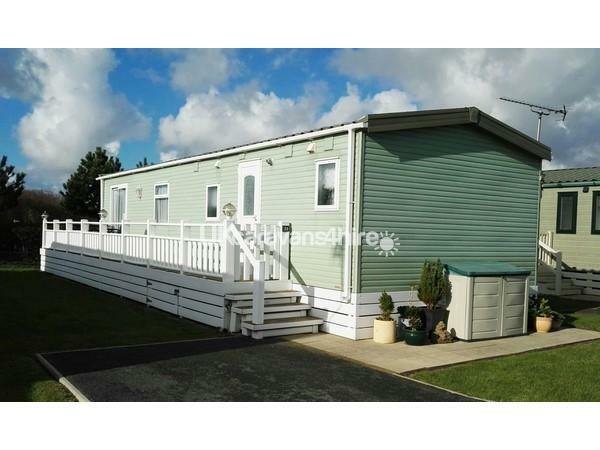 A beautiful caravan in an excellent location on a well kept and peaceful site. Perfect for access to the beach and exploring the area. One of the best holidays we have had.